Be careful what you say, whether it’s good or bad. 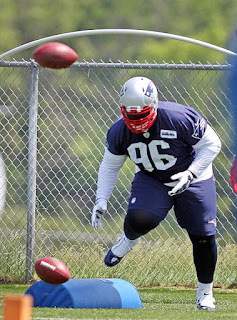 That’s a lesson that former New England Patriots player Terrance “Pot Roast” Knighton learned during his short time with the team. During an interview with PFT Live, Knighton revealed that head coach Bill Belichick once chewed him out for complimenting a player… yes, complimenting. Instead of taking offense to his scolding, Knighton got a glimpse of just how intricate the way the Patriots handle the media is. “Less is more” with the Patriots when it comes to the media, and that’s exactly how Belichick wants it.